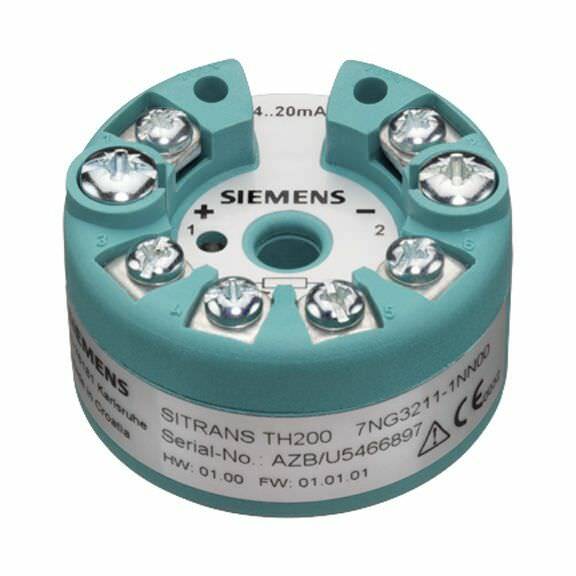 SITRANS TH200 is designed with a compact structure and fully potted electronics. It has built in resistance thermometers, thermocouples, resistance-type sensors, and DC sources. It has an output of 4 to 20 mA which can be read using a multimeter. This item measures temperature with a linear output signal and provides a high accuracy over an entire ambient temperature differential. It can be easily installed using the transmitter-modem and SIPROM T software. SITRANS TH200 is made to bolster all common RTDs, thermocouples, resistance and millivolt-sensors.